The US Supreme Court Thursday handed a partial victory to a Massachusetts family who sued the country’s largest owner of psychiatric hospitals over the death of their daughter. But the justices sent the case back to a lower court for further review. Both sides seemed to find something to like in the complex decision written by Justice Clarence Thomas. And lawyers and organizations who had been following the case disagreed about the ultimate meaning of the decision, which was unanimous. The question at hand was whether Universal Health Services, a Fortune 500 company that owns the Arbour psychiatric facilities in Massachusetts, violated the law when it allegedly permitted an unsupervised nurse practitioner to prescribe medication to 19-year-old Yarushka Rivera. Virtually every therapist who came in contact with Rivera at the company’s clinic in Lawrence was unlicensed and unsupervised, her family has alleged. Rivera’s parents claimed Universal defrauded the government by not following Massachusetts regulations requiring that nurse practitioners prescribe medication only under the supervision of a certified staff psychiatrist — while still charging the government for those services. Universal argued that its actions did not constitute fraud because the regulations did not explicitly say proper supervision was a requirement of payment. In its opinion, the court said health care organizations can be held liable under the so-called False Claims Act if they bill the government for a service and don’t comply with regulations — even if those regulations are not explicit. By not “disclosing Arbour’s many violations of basic staff and licensing requirements for mental health facilities, Universal Health’s claims constituted misrepresentations,’’ Thomas wrote. The justices held, however, that a company’s misrepresentation must be “material’’ to payment for it to be fraud. The Supreme Court held that the US Court of Appeals in Massachusetts that found for the family interpreted this standard too broadly. It sent the case back to the Appeals Court to decide based on the higher court’s guidance. The government, which is party to the lawsuit against Universal, and the family may have adequately proven their case, the Supreme Court said. “But we leave it to the courts below to resolve this,” Thomas wrote. The ruling could affect not only hospitals, nursing homes, and drug companies filing Medicaid or Medicare claims, but also myriad other businesses and nonprofits, from defense contractors to private colleges and universities. But Universal executives said they were pleased that the Supreme Court vacated the opinion of the First Circuit Court of Appeals in Massachusetts, which had ruled against Arbour Counseling Services. After that ruling, Universal asked the Supreme Court to hear the case. 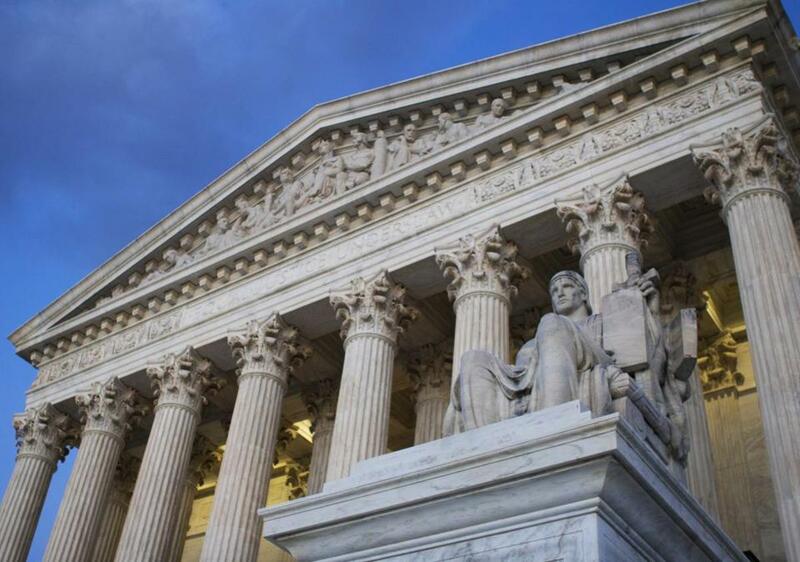 “The Supreme Court expressly and unanimously ‘disagreed with’ the lower court’s view and stated that the ‘False Claims Act does not adopt such an extraordinarily expansive view of liability,’ ” said Mark Pearlstein, an attorney for the company who quoted from the ruling. “Although the court is upholding the general theory of implied false certification, [Thursday’s] decision sets a fairly high bar on what constitutes this sort of fraud by omission,’’ he said. But Geoffrey Kaiser, a former health care fraud prosecutor for the US Department of Justice and partner at Rivkin Radler in New York, said the Supreme Court ruling was a “sweeping victory’’ for the family — even though the court did not agree entirely with the lower court.